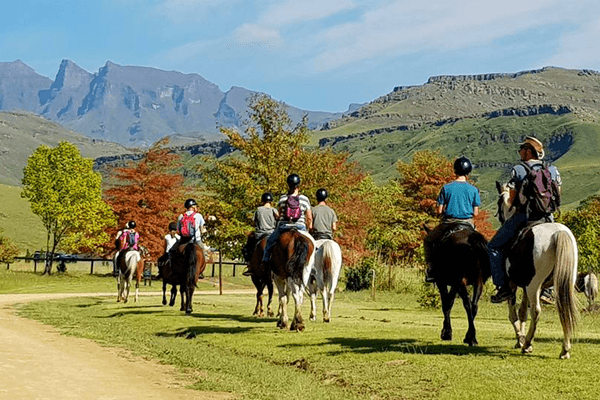 Silverstreams is the farm resort with affordable accommodation and plenty to do at the foot of the Southern Drakensberg Mountains. 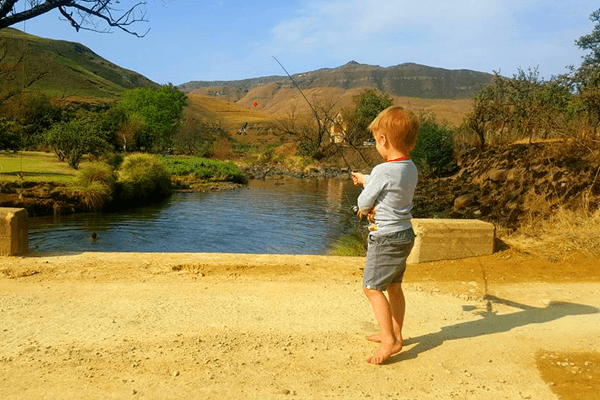 We are privileged to be able to share the diversity of the Drakensberg with you. Sharing a boundary with our new neighbours, “Drakensberg Ukhahlamba Park”, SilverStreams is one of very few private accommodation establishments sharing boundaries with this unique new World Heritage site. 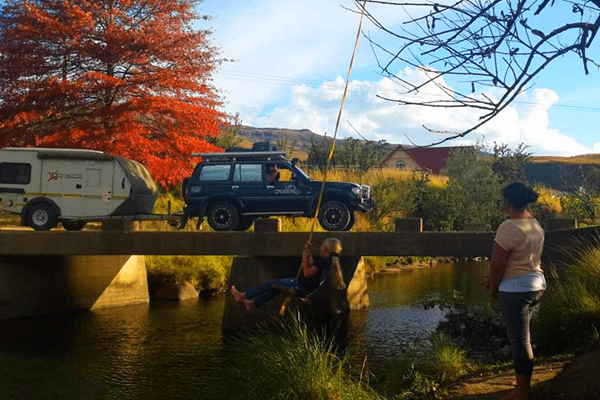 Bordering Lesotho, we provide a tranquil farm atmosphere with quiet streams, rolling hills, beautiful waterfalls and breath-taking views. We also offer luxury camping in log cabins with attached caravans. 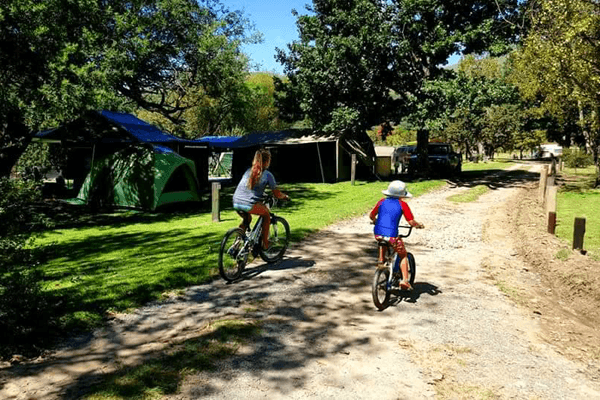 All caravan and camping sites boast attractive grass lawns with electrical points. 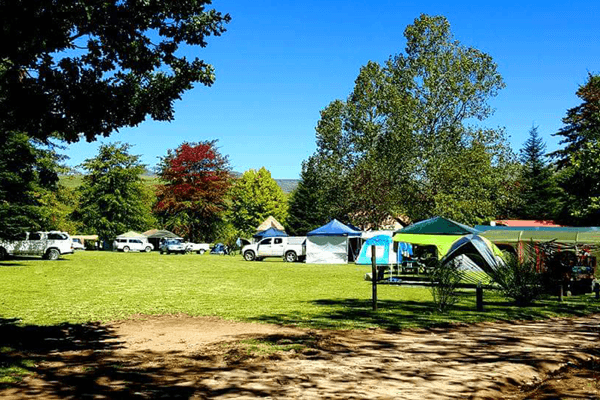 SilverStreams is also proud to have been listed under the “Top 100 Caravan Resorts” in South Africa by Caravan & Outdoor Magazine. Whether you are an avid hiker, a dedicated fly fisherman, a pro golfer, a horse rider, a bowler, an active tennis or squash player, an adventurous 4X4 owner, a bird enthusiast, a dedicated environmentalist, a rock art researcher, a sight seer, tour operator or just hungry for an escape from the city traffic, the wining-&-dining at SilverStreams is a stones throw from all of the above activities. Silverstreams caravan sites are well grassed,each site has a 15 amp electrical point as well as a water point. 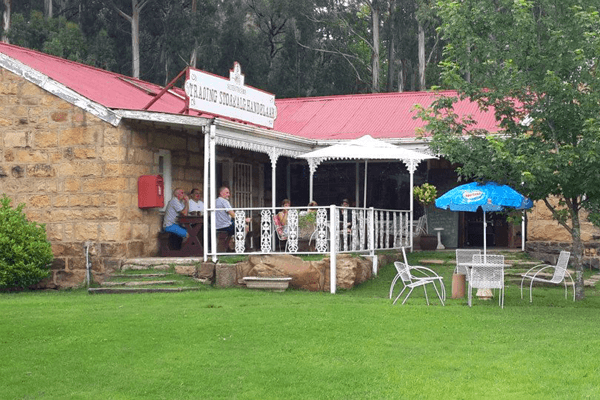 The ablution block has ample hot water and bath/shower facilities. There are also laundry and drying fascilities on-site. 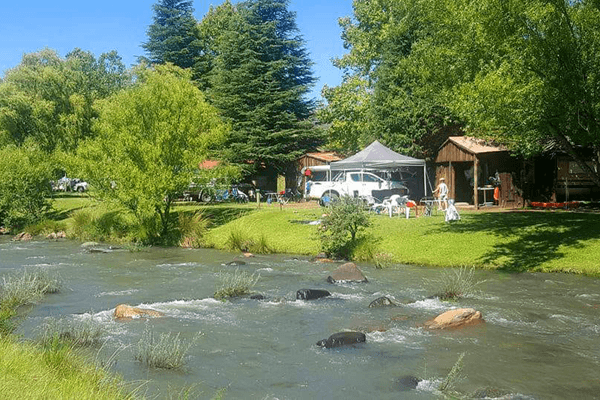 The Silverstreams caravans have attached log cabins and are equipped with two-plate stoves, fridge/freezer, pots and pans, electric kettle and crockery, There is a braai outside the cabin. Please supply your OWN bedding and washing equipment..